So it looks like we're building a boat. You know, one of those things that floats in the water and has things like a hull and a deck, not to mention nautical terms I'm still learning like bilge, stringers, chines, skegs, and bulwarks. Atkin's Retreat is a sweet boat. We liked the simple barge styling and how the cabin was positioned. 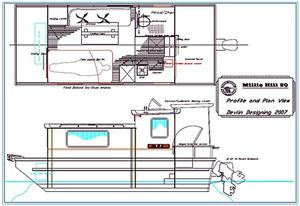 We ordered the study plans and particularly enjoyed dealing with Pat Atkin, William's daughter-in-law who now manages Atkin Boat Plans in Noroton, Connecticut. 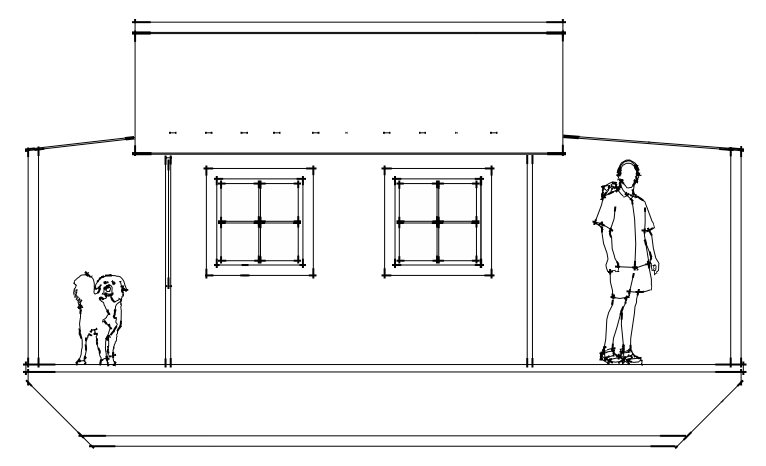 However this is an old design that suggests cedar planking rather than plywood. We thought William Atkin would be assuming we knew stuff that our generation had long ago forgotten. More here. We took a look at this boat as well. It seemed like a fine boat with a simple design inspired by the Retreat. 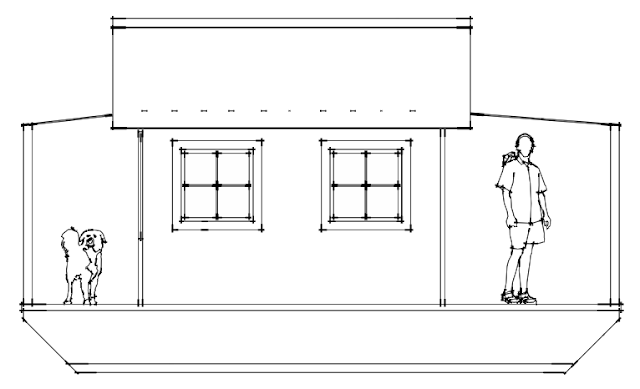 The scant study plans and coarse lines of the plan did not inspire a ton of confidence. More info here. We liked a lot of the things about the Waterlodge. The simple design and construction. We did wish the cabin was pushed back toward the stern which it is in the 24' version. More info here. 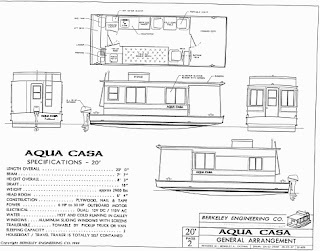 There were lots and lots of boat plans we looked at, but these are the ones for which study plans were readily available. 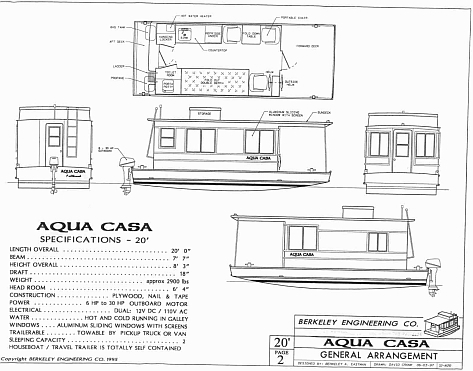 It's worth mentioning that we also looked at the classic Coolwater, but knew that the plans that appeared in Modern Mechanix in the 1940's were sketchy at best and no competent boat designer had made a crack at developing complete plans. In the end it came down to confidence that the boat designer could adequately communicate to us what we needed to know to build a boat. Our choice came down to small details. There were designs that had a centered cabin or one pushed a bit back toward the stern -- we leaned toward the latter. There were designs that had covered decks versus open decks -- we went with covered decks. There were designs that called for twin rakes fore and aft, and designs that had very little rake in back -- we were drawn to the latter. 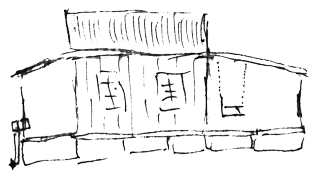 We understood that all these things could be modified in the plans, but were not confident in our ability to freestyle from the designer's intentions. A few boat designers and builders suggested Glen L. Witt's Boat Building With Plywood as a great guide to understanding plywood boats. I picked it up first through inter-library loan at the local university library, read it, and, when it seemed like such an indispensable volume, bought it online. Step-by-step, every aspect considered. Sober and serious and refreshingly frank, the tone was perfect for what and how I wanted to learn. I was impressed by Glen L. Witt's ability to describe the nitty-gritty of boat building. Even if I don't build a boat, I now have beautiful nautical art I can hang.